Last month we shared one of our new favorite spots for sushi in SoMa. We had such a great time that we could not wait to check out its Michelin-starred sibling next door. We headed over to Omakase on a quiet weeknight to experience their tasting menu. 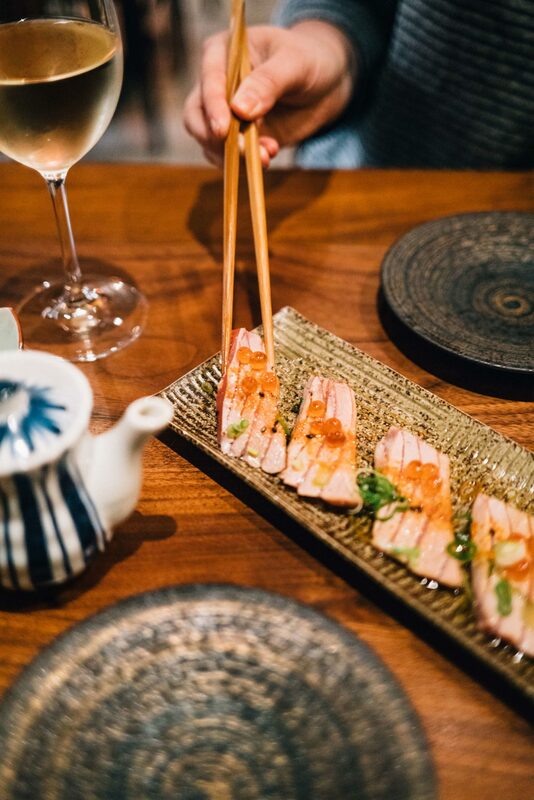 “Omakase” is a Japanese phrase that means “chef’s choice.” The tasting menu is completely driven by the Chef’s determination of what are the best and freshest ingredients. 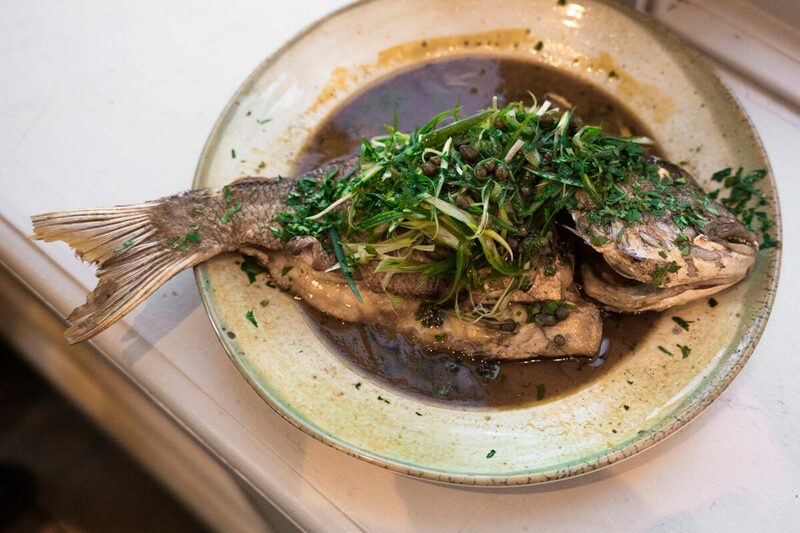 We were impressed to learn that Chef Jackson Yu sources the majority of the ingredients directly from Tokyo’s Tsukiji Fish Market, which is flown in three times per week. 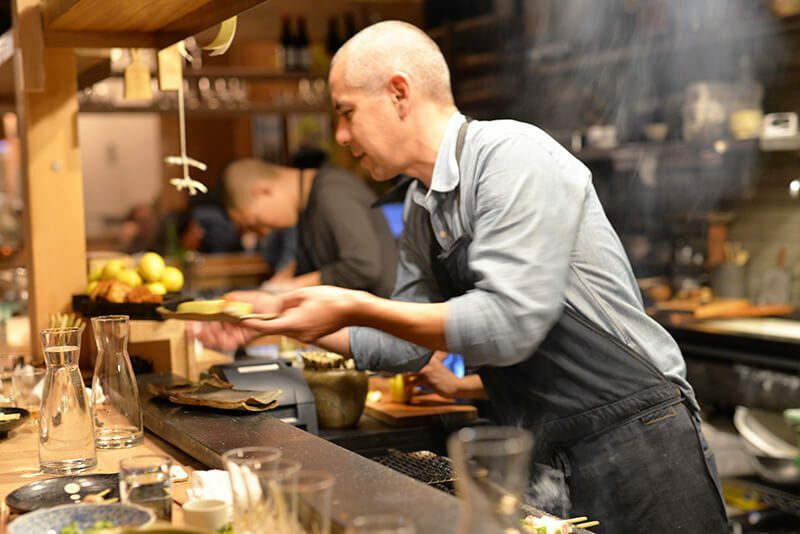 At Omakase, you’ll have a fair amount of interaction with your chef. The restaurant is quiet and very intimate, with only 14 seats (perfect for a second date or business dinner) and all of the food is prepared right in front of you by the same chef throughout the entire meal. Chef Sam took care of us and prepared each course with care and precision. The nigiri is prepared and presented one at a time and it’s expected that you will eat it with your fingers and eat it in one bite. We were surprised by how much we liked the sake selections. We left the choice up to the restaurant since we are not very familiar with sake. 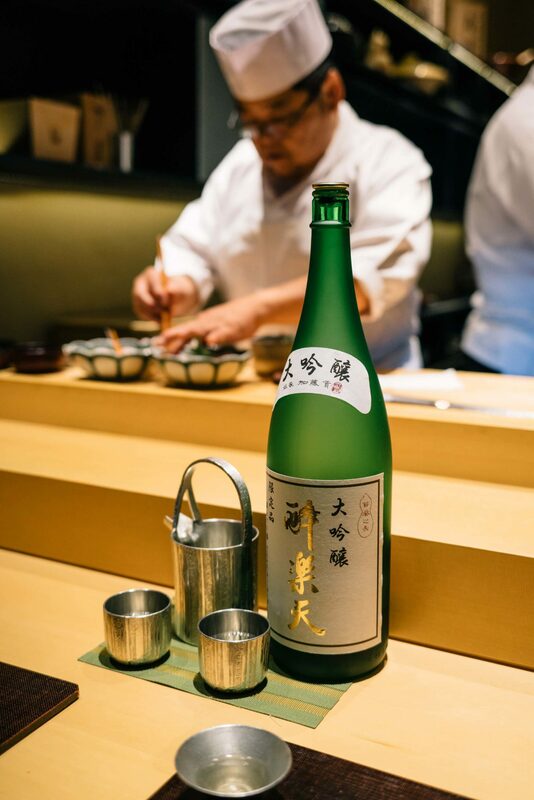 Omakase prides itself in its selection of rare sake, and the serveware is stunning as well. The first sake selection was served in a conical tin cup that is modeled after a volcano (if you turn it upside down, you definitely see the resemblance). The pewter sake serving sets keep the sake chilled throughout the meal. As we mentioned, the majority of the fish is flown in from Japan. To give an idea of the incredible selection you can expect, we asked the restaurant for a list of the nigiri we enjoyed. Our course included: Kinmedai (Golden Eye Snapper), Shima Aji (Striped Horse Mackerel), Suzuki (Japanese Sea Bass), Chu Toro (Medium Fatty Tuna), Aji (Atlantic Horse Mackerel), Kamasu (Barracuda), Kanpachi (Amber Jack), Ocean Trout, Uni, and Toro (Fatty Tuna). Our second sake selection came out in this gorgeous traditional cut glass sake set typically reserved for the finest sake. They perfectly exemplified the level of elegance and attention to detail that runs through the entire dining experience. One final note: while all of the fish is the type that you would feel bad cooking, “omakase” is not always completely raw. Several pieces were seared with a blowtorch (including toro seared with extra toro fat melted on top and wagyu beef) and the way that light sear accentuated the flavor was incredible. The menu changes with the seasons, so we can’t wait to return to try more of Omakase’s selections. Thank you to Omakase for hosting us for such an exceptional dining experience.